Janet Guthrie had a diversified background. being invited to test a car for Indianapolis. 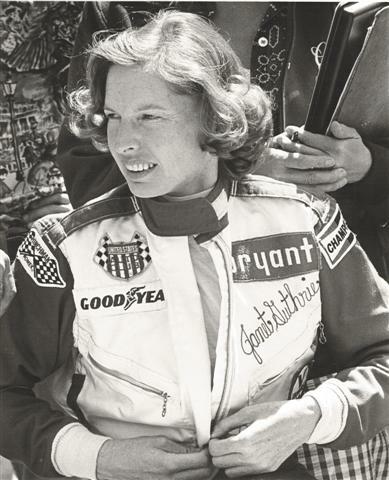 Janet Guthrie was born in Iowa City, Iowa, on March 7, 1938. Her family moved to Miami, Florida when she was three. She attended Miss Harris' Florida School for Girls for all but one of her elementary through high-school years, then graduated from the University of Michigan in 1960 with a B.Sc. in physics. She joined Republic Aviation in Farmingdale, New York, as a research and development engineer, working on programs that were precursors to Project Apollo. In 1964, she applied for the first Scientist-Astronaut program, and got through the first round of eliminations. She treasures a letter from astronaut Deke Slayton, a memento of that attempt. Meanwhile, she had purchased a Jaguar XK 120 coupe, and began competing in gymkhanas, field trials and hill climbs. This led to the purchase of a Jaguar XK 140 for competition in Sports Car Club of America races. Her career in physics slowly yielded to the allure of sports car racing, and by 1972 she was involved in racing on a full-time basis. Along the way, she posted two class victories in the 12 Hours of Sebring. Her big break at the top level of the sport came in 1976, when long-time team owner and car builder Rolla Vollstedt invited her to test a car for the Indianapolis 500. That year, she also became the first woman to compete in a NASCAR Winston Cup superspeedway stock car race. In 1977, she became the first woman to qualify for and compete in the Indianapolis 500; she was also first woman and Top Rookie at the Daytona 500 in the same year. 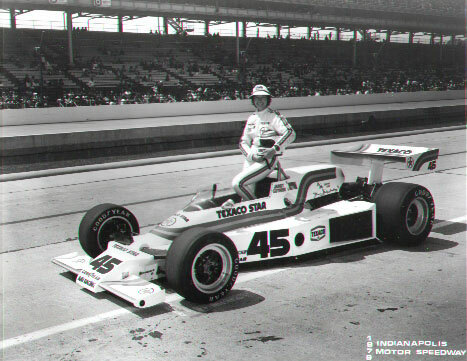 She finished ninth in the Indianapolis 500 in 1978. Janet Guthrie's helmet and driver's suit are in the Smithsonian Institution, and she was one of the first athletes named to the Women's Sports Hall of Fame. Her autobiography, "Janet Guthrie: A Life at Full Throttle" (Sport Classic Books), was published in 2005. In 2006, she was inducted into the International Motorsports Hall of Fame. She is listed in "Who's Who." She does extensive platform and keynote speaking. Among her television credits are "James Michener's Sports in America" and over a dozen appearances on "Good Morning America." is available online at Amazon.com or for autographed copies, click on "Contact Us" at top.